Do you remember the movie "You don't mess with the Zohan" were Adam Sandler apart from being an antiterrorist with a passion for hairstyling (smiling as I'm writing this) also has a deep passion for hummus? I remember being disgusted seeing him dip everything, like chocolate bars, in hummus and laughing as he uses it as a fire extinguisher. 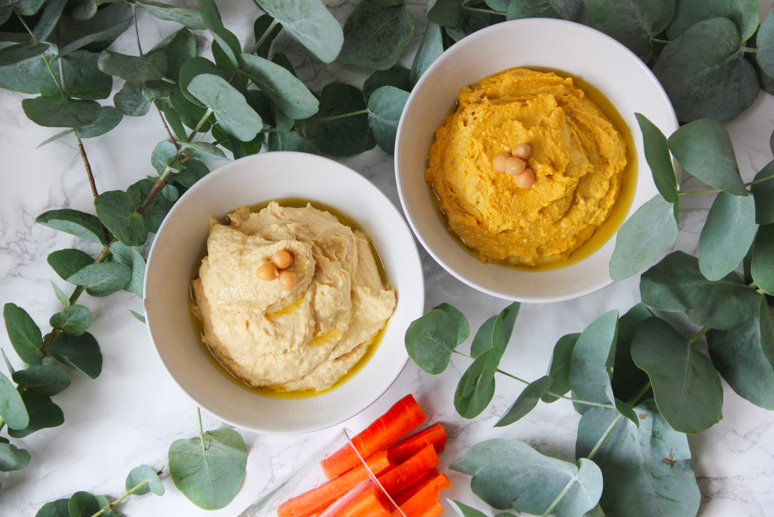 With no further ado, here are two amazing and simple recipes, one for a classic hummus and one for someone loving a little twist in it, a turmeric hummus. Use the same ingredients as the classic hummus but add a tablespoon of turmeric powder. If you like yours to be a little spicy too, you can add some paprika powder to it.